Look what was waiting for me when I came home! It's the latest Philips lightweight hairdryer that is said to give salon results. Couldn't wait to unbox and try it out especially since I've not been using a hairdryer for quite awhile due to the how dry my hair becomes after every blow dry. My hair only comes out looking silky soft and shiny when I get it done at the salon (which is also not very often!). The hair dryer comes with three speed and temperature settings each. There's also a cool shot button that helps set the style of you hair. These settings are something you should look out for if you are thinking of buying a hair dryer. It's always good to be able to have the flexibility to dry and style your hair according to your hair needs. On first look, the hairdryer seemed like it was going to be quite heavy and quite hard to handle especially since it was bigger than any of the ones I've used before. However, I'm really happy that it wasn't the case at all. My arms didn't feel tired even after I had finished drying my hair. I was also amazed at how fast it took for my hair to dry completely. With a hair length like mine, it would easily take 20 minutes at least for it be dry, but with the Philips Salon Dry Pro, it took me 15 minutes max. What a timesaver. If you think it's only a five minute difference, well to a mom we can do many things in five minutes! 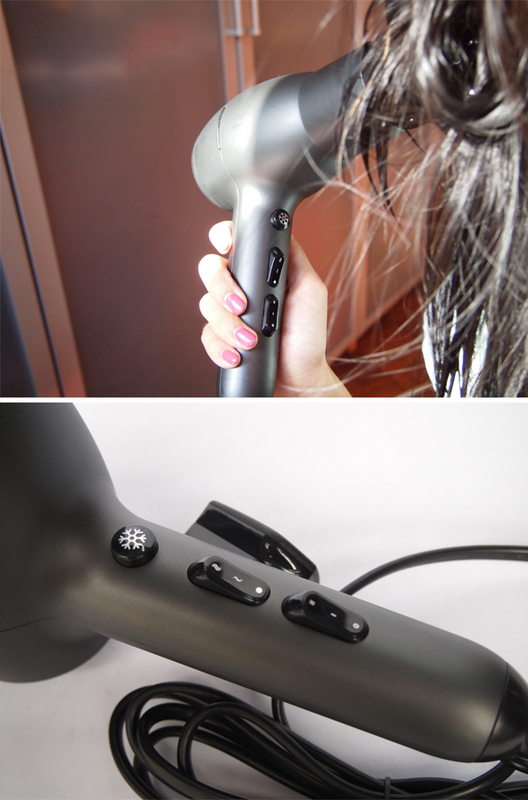 Other key features of the hair dryer that I especially like are the ceramic and ion conditioning elements. I was expecting that my hair would end up really dry after blow drying, and bought some leave-in conditioner in case of any damage. I was really delighted that my hair looked and felt soft and smooth almost as if I had a salon blowout. Not forgetting, it was frizz-free. Normally when I air dry my hair, it would still frizz every now and then, but with the hairdryer, not at all! Of course my hair did not turn out as fantastic as if I were to have my hair done at a hair salon because of the lack of professional skills, but the result was more than good enough for me. After trying out the Philips Salon Dry Pro, I recommend that you should most definitely look out for these features when choosing a hair dryer as it helps to keep your hair shiny and smooth without the nasty drying effects of a regular hair dryer. Just in case you are wondering if I needed to still use the leave-in conditioner, I didn't use it at all as I felt it was unnecessary. If you've got curly or permed hair, there's something special for you. The Philips Salon Dry Pro AC Lite comes with a volume diffuser. Great for drying your hair without losing them beautiful curls and also providing that extra oomph of volume. 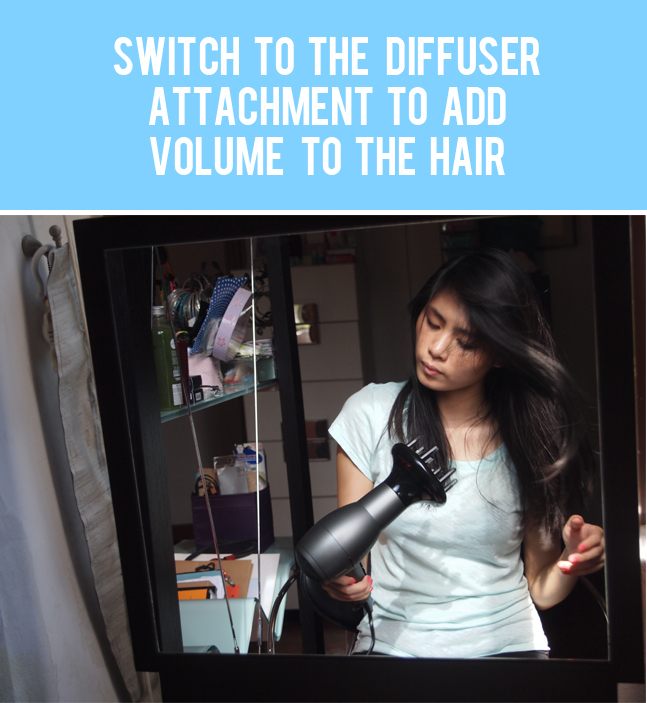 If you've got straight hair like me, you can still use the volume diffuser. For what? To create some loose waves! I watched some YouTube tutorials on how to create curls/waves using a volume diffuser on straight hair and it works! Pretty cool right? It gives a more natural look as compared to using a curling iron. 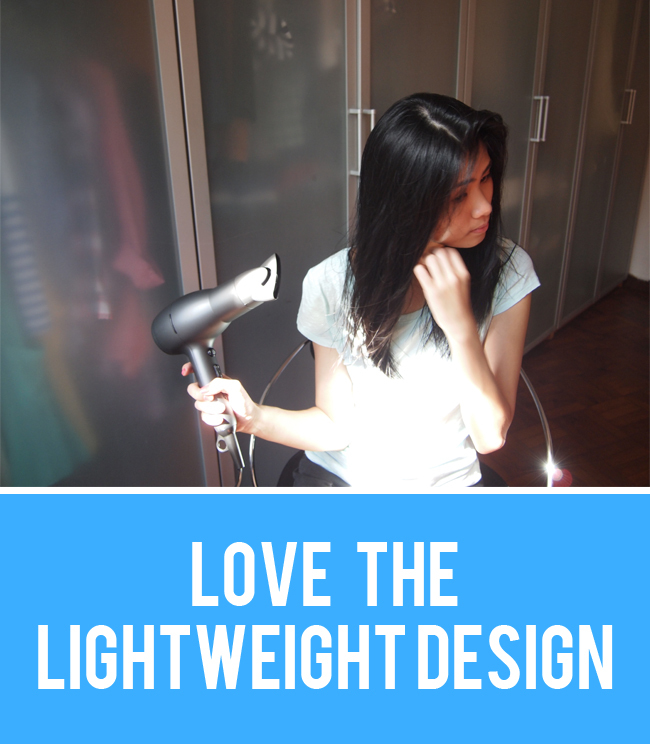 I really enjoyed using the Philips Salon Dry Pro AC Lite. It's fast, fuss-free and leaves me with hair that's hardly damaged. Now I can save time on waiting for my hair to dry before going to bed. What's more, instead of leaving the home with flat hair I can now do some simple styles before heading out. Retailing at SGD$135, the only downside about the Philips Salon Dry Pro AC Lite would be that it might be a tad pricey for a hair dryer. 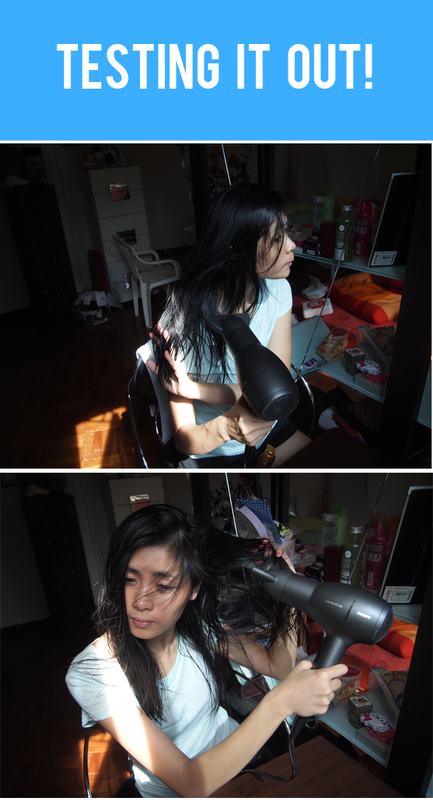 No worries though as Philip is having a special GSS promotion so the hair dryer will be retailing at only SGD$99! Such a steal for a good quality hair dryer. Also if you spend more than $200 in a single receipt during the GSS promotion period, you can take part in a sure-win lucky dip! You can find out more details here. Do follow Philips Twitter page at Do follow Philips Twitter page at https://twitter.com/PhilipsSG and participate in the Twitter games to win up to $100 shopping vouchers! 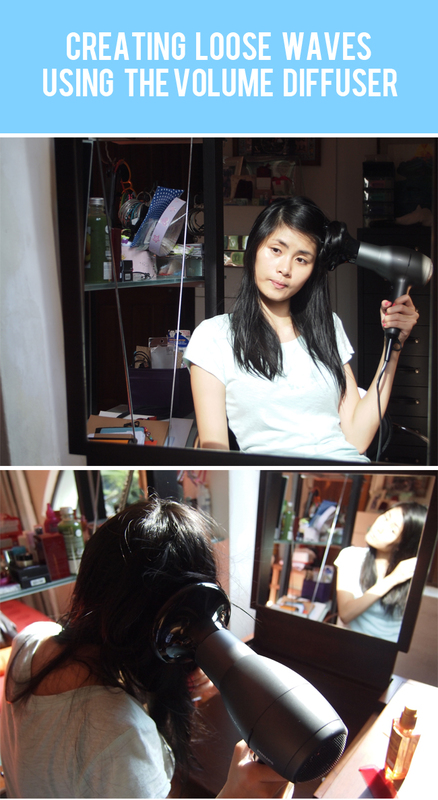 *Disclaimer: The Philips Salon Dry Pro AC Lite hair dryer was sponsored by Philips. All content, comments and reviews are based on my own opinion/view of the product and brand and was not influenced by any external factors.